This swan card was inspired by an ugly duckling card that I transformed using Stampin' Up! 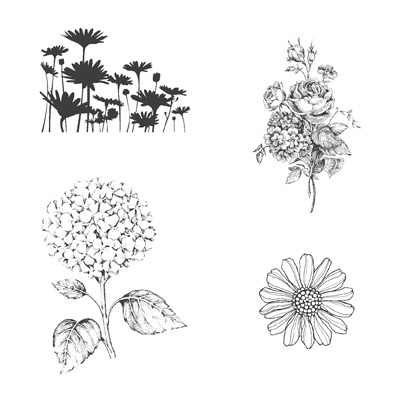 's Best of Flower stamp set. At our March demonstrator meeting, we were discussing different swaps we could do as a group. I suggested a swan card swap. 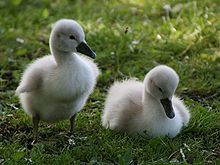 If you remember the story written by Hans Christian Anderson, the ugly duckling was a homely little bird with no friends who eventually matures into a beautiful swan. When we swap cards it is human nature to like some cards more than others. And some cards would not pass by the "card police" without getting a ticket! Our group believes you should swap with anyone who asks even if you don't feel like the card is "swap-worthy". To encourage swapping, I thought it would be fun to do a swan card swap. The challenge is to take a card that needs help and work with it until it becomes a swan card. Of course, for our small group, the other part of the challenge is that the maker of the ugly duckling card must remain anonymous unless it is you. 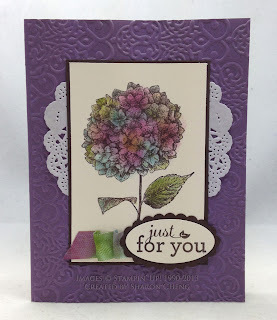 It's always fun to see a beautiful swap card and what inspired it! I loved this card when I made it. The problem? I thought it was the image that would be coming in the Best of Flowers stamp set. I decided to get a head start since I had the retired stamp set, Just Because. It's a good thing no one saw the look on my face when I opened my Stampin' Up! box and saw the actual stamp set. Not only was the image of the hydrangea different, it was a completely different size. AAAAAKKKK!!! Having just talked about swan cards at our demonstrator meeting, this problem became my first ugly duckling card challenge. While the card wasn't ugly to me, using a retired image that wasn't in the Best of Flowers set was a big problem! I decided to keep the same size card stock and dye the ribbon as I had in my original card. With the smaller hydrangea, I was able to use a larger sentiment. 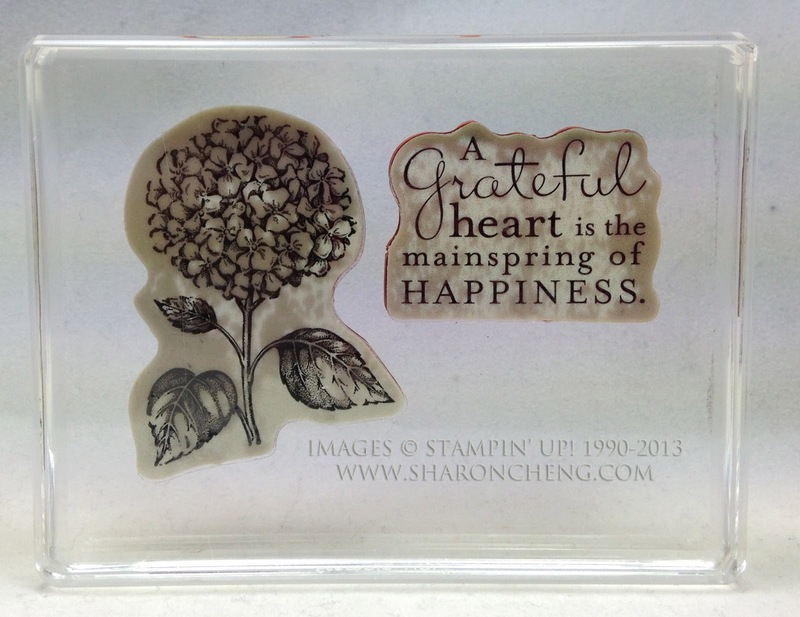 To be sure that things lined up, I put both stamps on the same clear block. That way they were both lined up on the Very Vanilla card stock. The good news about this swan card is that the tutorial is basically the same. The difference is that I only used the sponge dauber for the first layer of Baja Breeze due to the smaller size of the hydrangea. This card actually goes a little faster because the bloom is smaller. So remember that when you aren't happy with your next project, maybe it's a future swan just waiting for the right inspiration. Sale-A-Bration goes through March 22nd. When you purchase $50 in products, you can pick a free item from the Sale-A-Bration catalog.